Clearer images of the Virgil Abloh’s collaborative Nike Mercurial VaporMax Hybrid soccer boot have emerged but this time around, official images emerge of another version made for the soccer pitch. 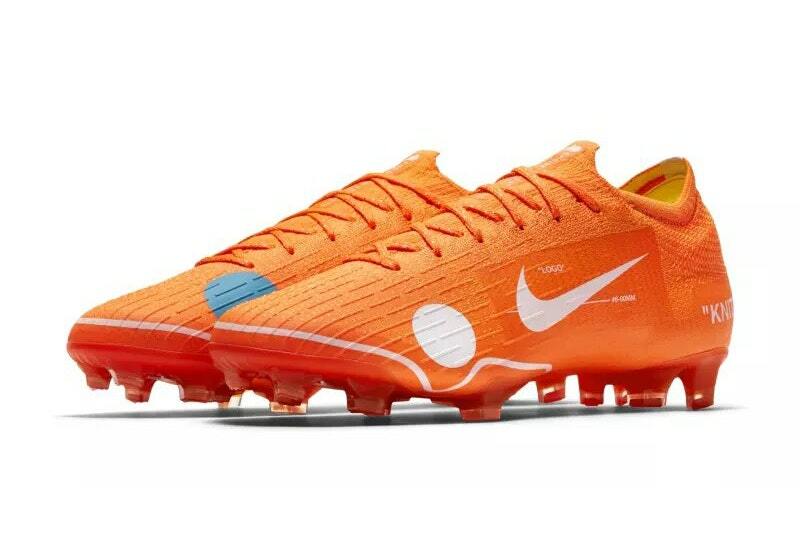 Carrying on the orange aesthetic, Abloh uses the Nike Mercurial 12 Elite model as his canvas to join the hybrid on his forthcoming project with Nike Football. The kicks’ upper sports a knitted construction that’s complemented by white and blue detailing throughout. Dope or Trash?